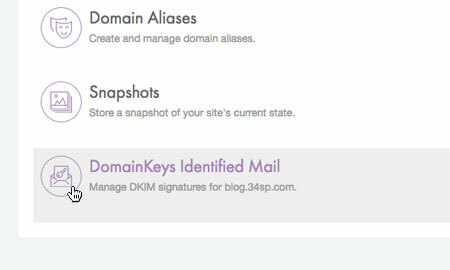 This is a quick step-by-step walkthrough for enabling DKIM signing via the 34SP.com Control Panel. DomainKeys Identified Mail (DKIM) is a protocol that allows an organisation to take responsibility for sending email, that can be verified by mailbox providers using cryptographic authentication. Setting up DKIM means you can help prevent spoofing by adding a digital signature to outgoing message. Whilst that may sound complicated, it is very simple to setup. For best results we recommend that as well as enabling DKIM, you add an SPF record to your DNS. To find out how to do this, please read our KB article 'How to create an SPF record'. Please note: This article is not applicable for Private SMTP servers. 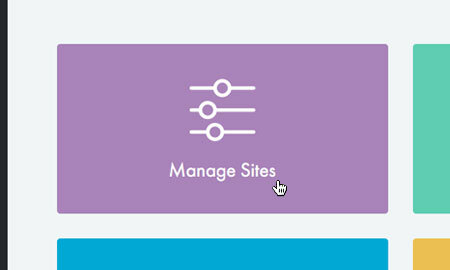 Then click on the icon labelled 'DomainKeys Identified Mail'. 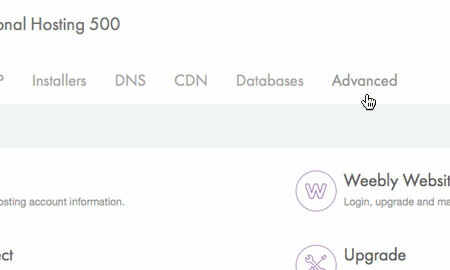 If your domain name is with 34SP.com, your DNS will be updated accordingly. As with all DNS updates, these changes will take 24 hours to propagate. 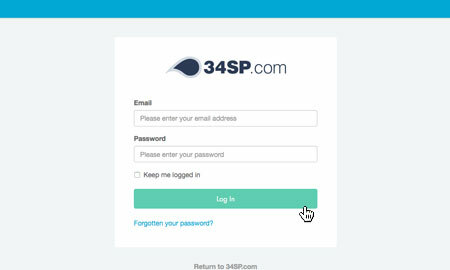 If your domain name is not with 34SP.com, please follow the on-screen instructions and update your domain's DNS via the tools provided by your domain registrar.